Science this week? We learned that materials are stronger when folded or twisted! We were asked to make a bridge using paper balanced on two cups. Only a few blocks and our bridge began to sag. 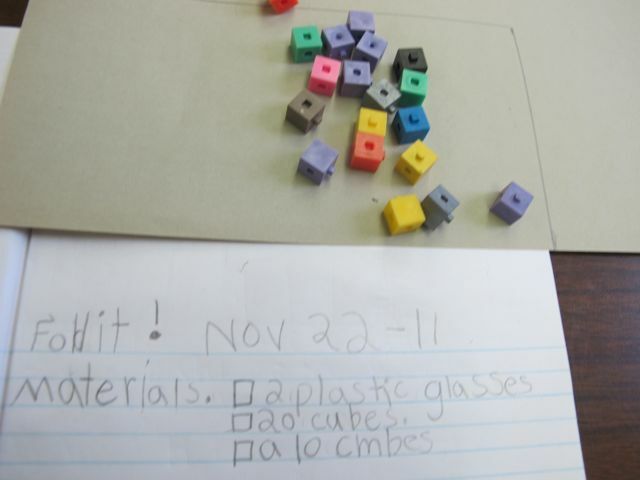 As scientists, we first listed our materials and checked them off as we collected them. 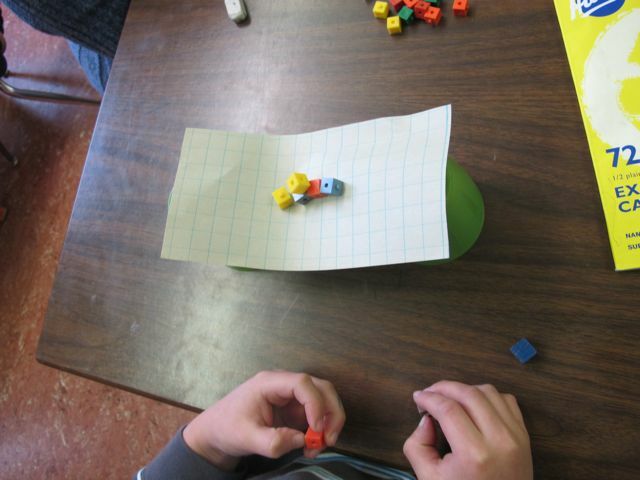 Then we folded the same paper like a fan and tried balancing cubes again. What a difference a few folds make! 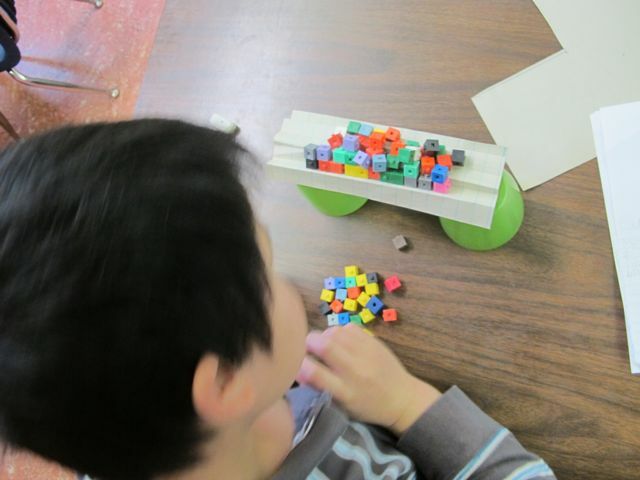 Some of us were determined to balance 100 cubes? No way?! Well, Raymond had the record at 87! So what did we conclude? We figured that the folds made little triangles (like you see in corrugated paper) and that triangles are the strongest shape. We learned this last week (see here)! 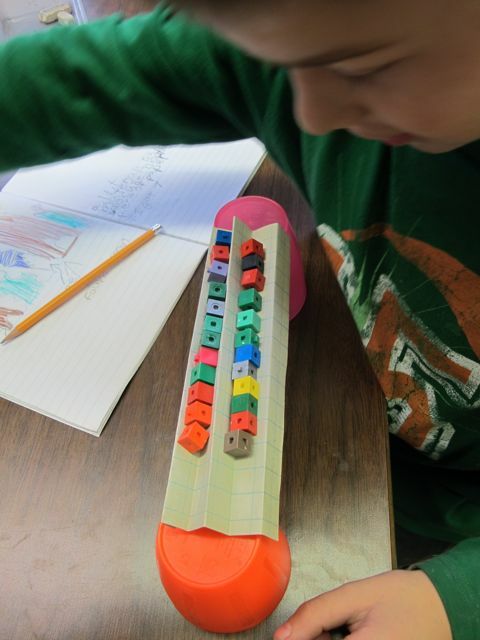 This entry was posted in Uncategorized and tagged hands on practice, science, structures by carriegelson. Bookmark the permalink.